Female social climbers get a lot of flack in modern society. Men and women alike call them derogatory terms like “gold diggers”. Even so-called “feminists” who claim that their mission is to defend a woman’s right to choose, leave a footnote on the possibility of social climbing via relationships with a male of greater financial means. Why is that? Could it possibly be that feminists, who are raised and exist in the same mental cultural paradigm that they are fighting to dismantle, have actually been subversively indoctrinated into that very paradigm? I believe some major reasons for this (in addition to the painstaking work that a process like this would entail), are psychological barriers within those trying to climb and psychological barriers of the community as a whole. Often times, people in a particular “cast” are pressured to “know their place” and not try to “act” like something they are supposedly not. So, the question this article posed with its title was, “Do gold diggers fall in love?” First of all, I want to apologize for using this derogatory term if it offends anybody. I believe that female social climbers who choose to use romantic relationships with rich men as leverage should not feel guilt or shame or inadequacy, because the fact of the matter is that love and social climbing are not mutually exclusive no matter what kind of psychological bullying people try to use to pressure you against it. Saying that someone who has used money as one of their criteria (or standards) for marital engagement, is incapable of feeling love for their spouse is like saying that someone who has used water as one of their criteria for breakfast can not also have coffee. The water doesn’t make the coffee any less necessary. They serve two very different purposes. One is for hydration and the other is for energy. They are both important to the person’s being effective throughout the day, and both can be taken around the same time during the day. Love and money are a little more complicated, but have much the same implications. Our society fetishizes money to the point where acquiring it has been made to seem like a feat reserved a divinely chosen few. Many people believe that people who transcend socioeconomic barriers can only do so by engaging in immoral activities. For this reason, many are afraid or ashamed to try. 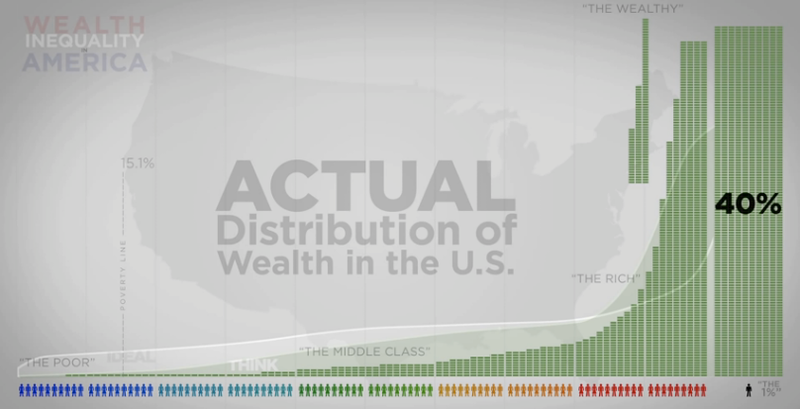 This continues to widen the wealth gap between the rich and the poor. I believe that this line of thinking also makes it harder for a female social climber to find love, because due to so many people making assessments about the meaning and nature of her relationship, she may begin to doubt the nature and implications of her own actions to the point where she begins to reflect the messages being sent to her by a disapproving culture. Before you know it, she may begin to sabotage her own life actions based in paranoia and shame. So, the answer to the question about finding love through social climbing is a resounding “yes, but…”! Yes, a female social climber can choose wealth as one of her marriage criteria without excluding the criteria that she must be emotionally invested in and physically attracted to her mate. However, due to social and personal psychological barriers, she is going to have to guard her heart aggressively. He, too, must not allow “village gossips” to work their psychological judo on his mind, because love is tied to trust and the moment either of them begins to persistently doubt their partner’s motives, that love will be in jeopardy. So, as in any relationship, they must protect the privacy and sanctity of their relationship from the assaults of people who do not have their best interest at heart. If this topic interests you, consider the book I wrote entitled “Rich man, poor women: Why more poor women should marry rich and you should stop calling them gold diggers”. It is currently available on the Kindle store.